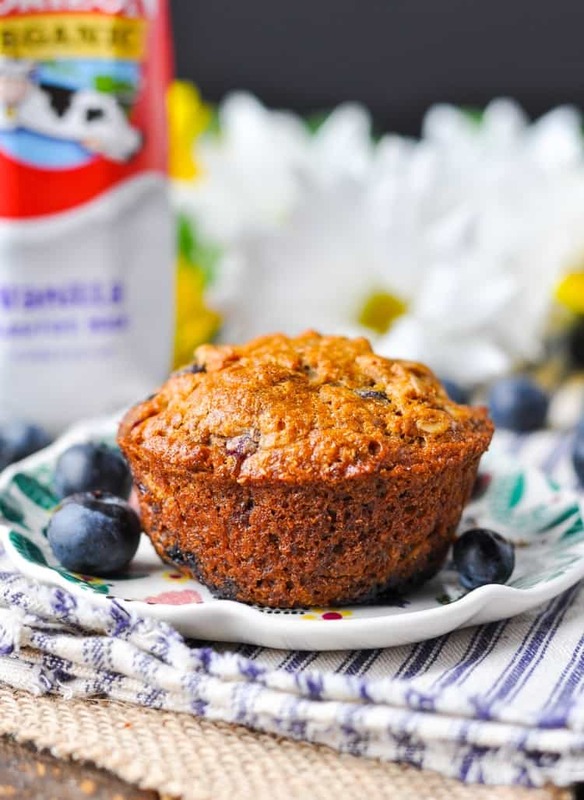 Whip up a batch of these nutritious Whole Wheat Banana Muffins with blueberries in about 10 minutes and you'll have an easy breakfast or snack ready to take on road trips, pack in summer camp lunch boxes, or enjoy on lazy weekend mornings. 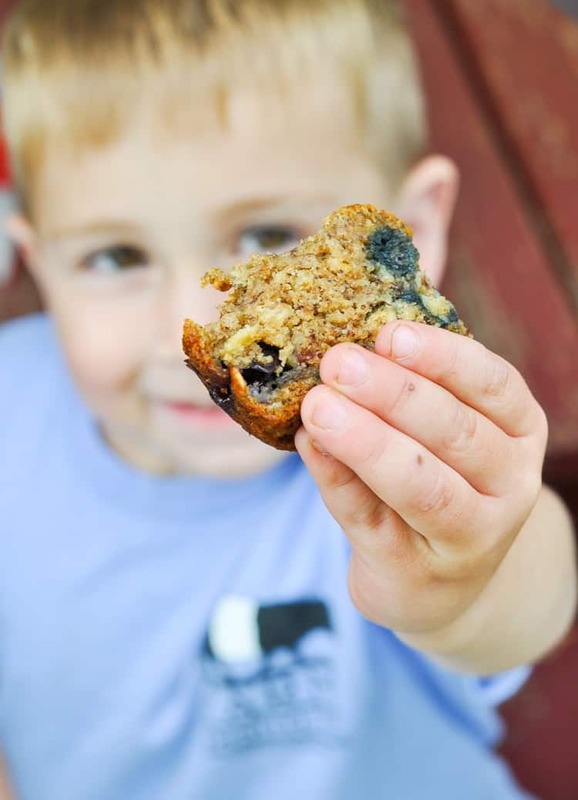 Whip up a batch of these nutritious Whole Wheat Banana Muffins with Blueberries in about 10 minutes and you’ll have an easy breakfast or snack ready to take on road trips, pack in summer camp lunch boxes, or enjoy on lazy weekend mornings. 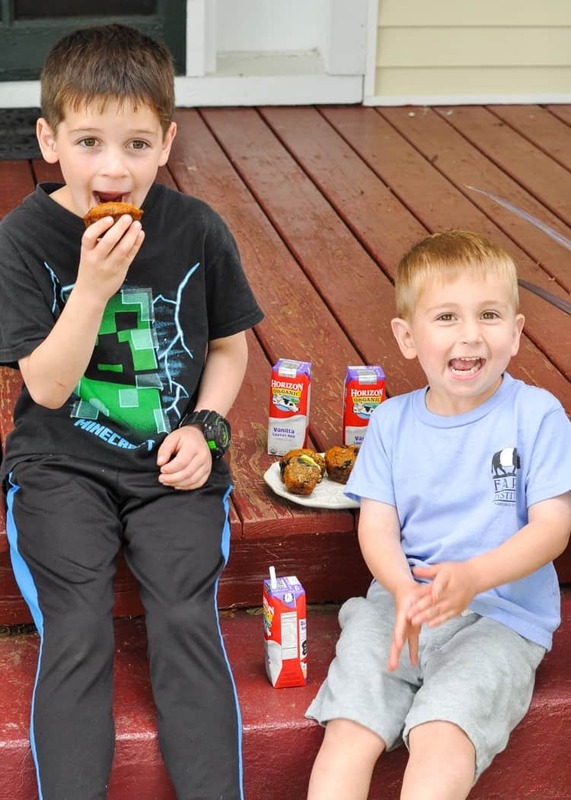 The muffins are loaded with fruit, whole grain, and organic dairy for a sweet treat that you can feel good about feeding your family! You guys, this recipe is so incredibly special to me, and (like many of my recipes) there’s a story behind it! In a few days I will be embarking on a very long road trip up north with the kids. We’re headed to my parents’ summer home on Martha’s Vineyard, which is a seriously long haul from Central Virginia. I’m dividing the trip up over two days, and fortunately my Aunt Barbara has offered to make the trip with me and the boys. Keith will be holding down the fort at home (and working) until he joins us later in the trip. While spending 14+ hours in the car with 3 boys ages 7 and under is not exactly my idea of “fun,” the ultimate destination is definitely worth the effort. I spent every summer of my childhood on the Vineyard, and I wouldn’t want it any other way for my own kids. There are just so many wonderful memories associated with those vacations, including mornings of blueberry picking in our back yard, afternoons splashing in the waves at the beach, and evenings licking ice cream cones by the dock. In short, Summertime Heaven! With all of these fond snapshots tucked away in my brain, I set out to create a simple, wholesome, Vineyard-inspired recipe that we can easily pack for our travels. 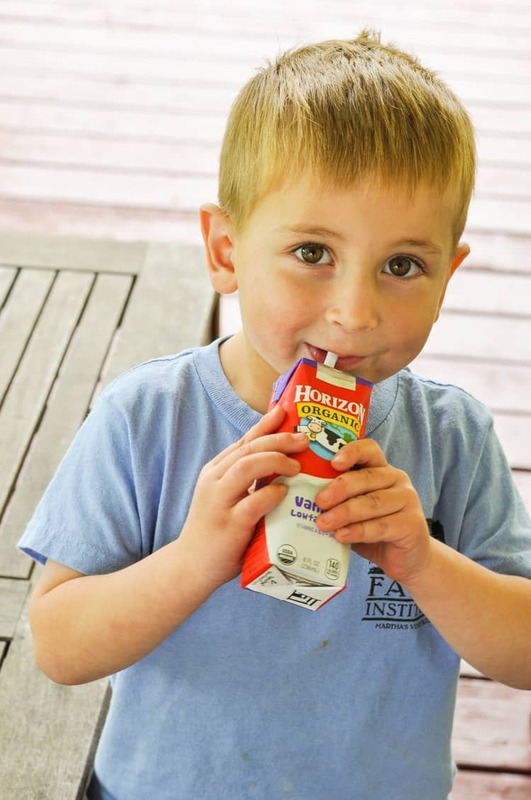 With many miles ahead of us, I need portable, kid-friendly options that travel well without refrigeration and that help us avoid too many interstate drive-thru’s! Since there’s probably not a more quintessentially “Vineyard” locale than The Black Dog Bakery and Tavern, these muffins instantly came to mind. The Black Dog Bakery sits right next to the ferry dock in Vineyard Haven and is basically the only spot open on the island when we’re waiting to board the 6:00 a.m. ferry. I grew up with these warm baked goods, and a ferry crossing just wouldn’t be the same without them. 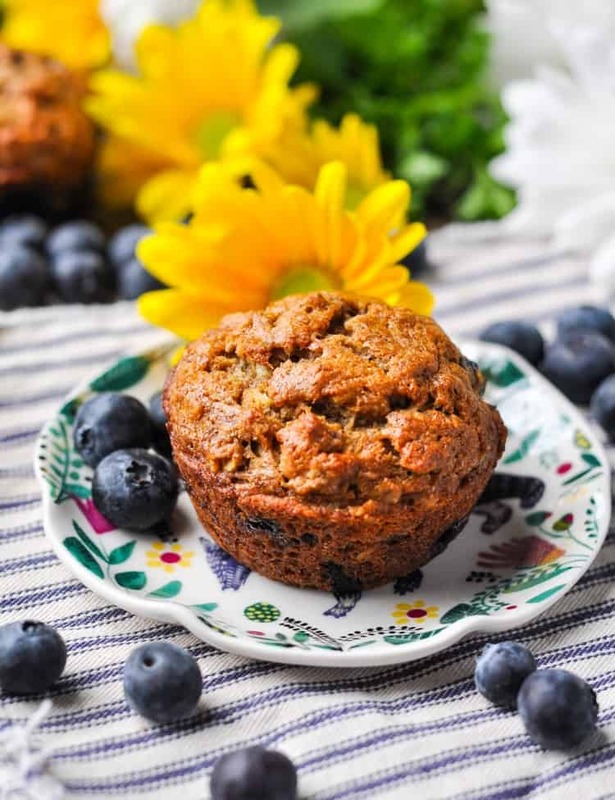 The Whole Wheat Banana Muffins With Blueberries are one of the The Black Dog’s most popular recipes. 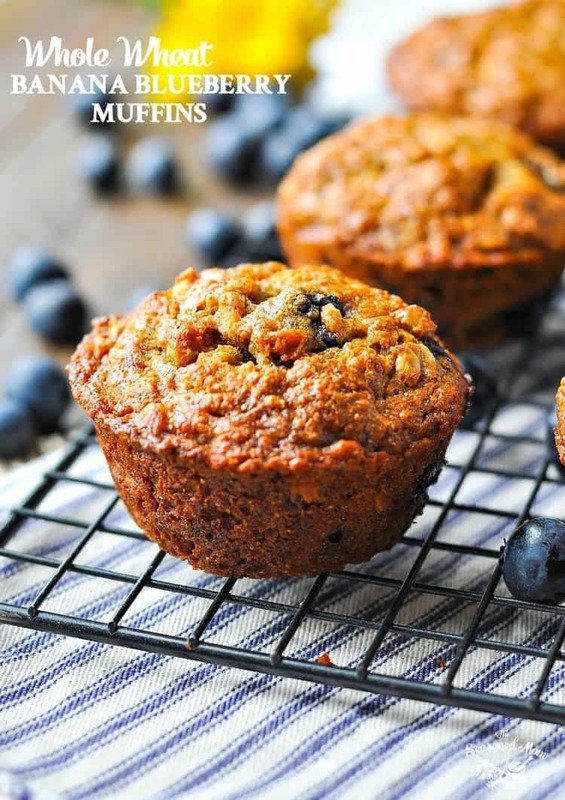 Think of this treat as a perfect cross between banana bread and blueberry muffins. They’re incredibly moist and rich from the banana in the batter, and they’re bursting with pockets of juicy blueberries. I adapted The Black Dog’s original recipe for this simple and delicious version that my kids can’t get enough of! 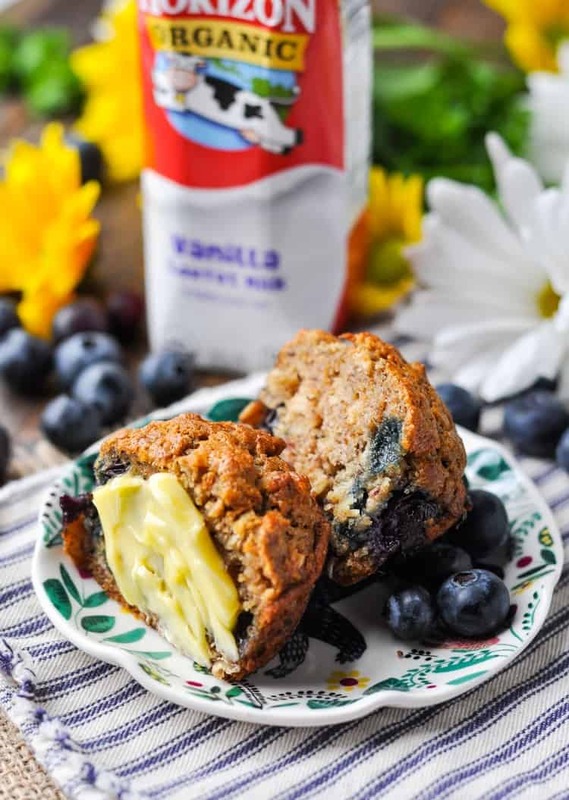 My blueberry banana muffins are made with whole wheat flour, rolled oats, and Horizon Organic butter. They’re sweetened only with fruit and maple syrup. No fake ingredients, nothing weird, and nothing that’s hard to pronounce! Just wholesome, nourishing, and delicious — proving that we can still treat our families without compromising quality. 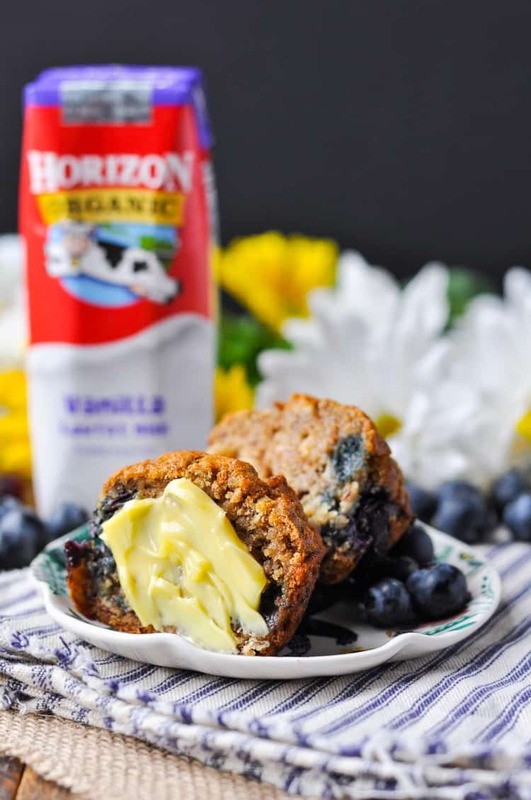 I like to pair the muffins with Horizon’s organic milk boxes for an added protein punch. 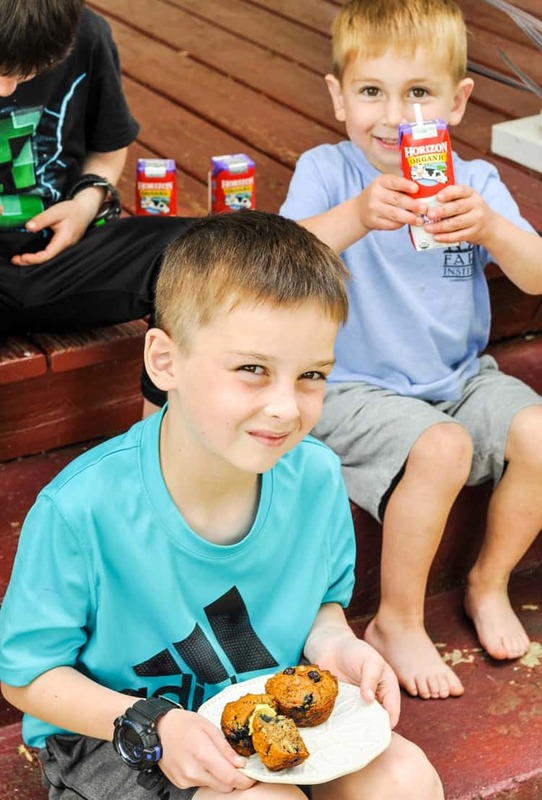 The vanilla flavor is Spencer’s personal favorite, and the containers just happen travel well in coolers or lunch boxes for easy road trip food! You know what else is going in our Road Trip Survival Kit? 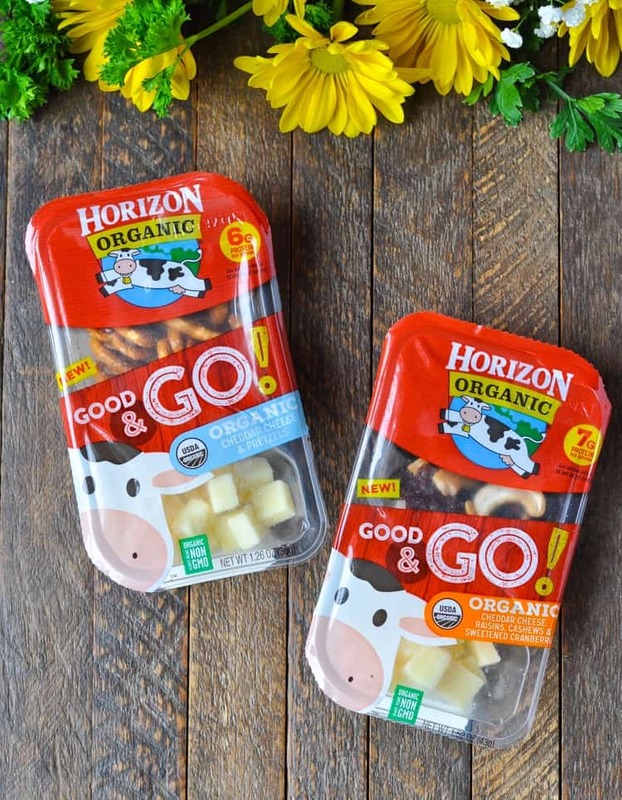 Horizon’s new Good & Go packs, which are perfectly portioned snacks with just the right amount of carbs and protein for satisfaction and staying power. Again, they travel easily and they keep the kiddos happy! I love the sweet-and-salty combo of the cheddar cheese, raisins, cashews, and cranberries! With full bellies and happy travelers, I will feel a little bit more prepared for the journey that we’re about to embark on. 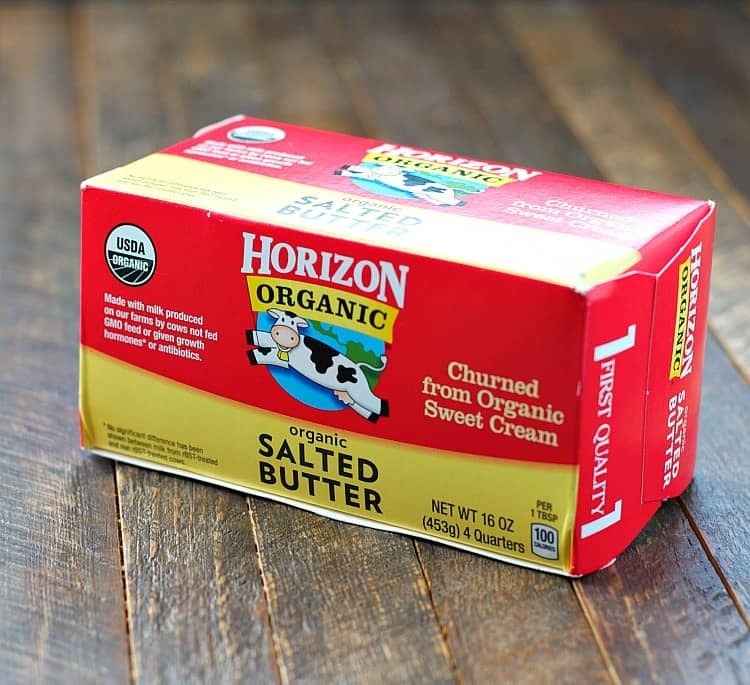 For more information about Horizon Organic products and for additional recipes and inspiration, be sure to sign up for the Horizon Newsletter and follow the brand on Twitter, on Facebook, on Pinterest, and on Instagram! Oh, and check out this super cute video from my friends at Horizon — we are definitely #AllForWeird! 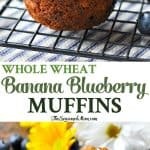 If you’ve tried these Whole Wheat Banana Muffins With Blueberries or any other recipe on The Seasoned Mom then don’t forget to rate the recipe and leave me a comment below! You can also follow me on Facebook, Twitter, Instagram and Pinterest to see what I’m getting up to. Preheat oven to 350F/180C. Line a muffin tin with paper liners or spray with nonstick cooking spray. Set aside. In a large bowl, whisk together flour, oats, baking soda, salt, and nutmeg. In a separate bowl, stir together maple syrup, melted butter, mashed bananas, and vanilla extract. Add the wet ingredients to the dry ingredients and stir until just combined (be careful not to over-mix the batter). The batter will be slightly lumpy, which is fine! Gently fold blueberries into the batter. Divide batter evenly among prepared muffin cups. The muffins do not rise very high, so be sure to fill the muffin cups pretty full! Tip: these muffins freeze very well, so wrap any extras tightly in plastic wrap and freeze for up to 3 months. Recipe adapted from The Black Dog Summer on the Vineyard Cook Book. It sounds like you will have a wonderful trip, Blair! That’s so great that you get to spend some time with your family. These muffinslook like the perfect snack for the car ride. Love the banana and blueberry combo! 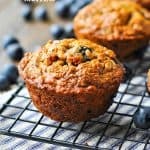 These Whole Wheat Banana Blueberry Muffins look amazing. I feel hungry now, great pictures, nice recipe. These sound so delicious! Pinning to make later! Any way to lower sugar and saturated fat content? So if I replace half the butter with applesauce, is it the same amounts, like I would need to use 1/4 cup applesauce? Thank you! Hi, Cynthia! Replacing fat with applesauce in baked goods will work, but it will change the texture and the taste of the muffins (less fat = a more “gummy” texture). If you’d like to try the swap, you would use 1/4 cup of applesauce and 1/4 cup of melted butter. These sound delicious I don’t really really like whole rolled oats in my baked goods. Could I process them a little so they’re not as chunky and, if so, do you think I’d need to use more or less or bake them for a longer or shorter amount of time? Hi, Kayleigh! Yes, you can process the oats a bit so that they’re smaller (although you don’t notice big chunky oats in these muffins once they’re baked). 🙂 I would use the same amount of oats and bake for the same amount of time. Just keep your eye on the muffins as they cook, since I haven’t tried those changes myself for this recipe. Enjoy! You could leave the oats out altogether and use another 3/4 cup whole wheat flour instead. Sounds like such a fun trip and I’m now dying to make these muffins and try them for myself! They’re the best!!! Thanks, Emily! I made this today and they were amazing. Thank you so much for the recipe! Thanks, Amanda! The strawberry version sounds amazing, too! 🙂 So glad that you all enjoy them!